Homeowners who require rodent control for their residences in Garden Grove, California, understandably want the problem handled as quickly as possible. Rodents are extremely unsanitary animals and, in addition to potentially spreading disease, they can quickly cause extensive damage to wiring, insulation, walls, and other areas of a home. At Kilter, we’re so confident in our proven-effective rodent removal process that we back it with a industry-leading two-year warranty. So, once we’ve eliminated rodents from your home, you can rest easy knowing they won’t return. What’s more, if you require it, we can even help restore sanitary conditions to your home. 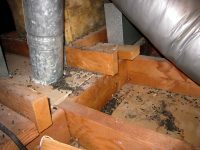 For example, we can replace any insulation that rodents may have nested in with specialized TAP Pest Control Insulation. To learn more about the rodent control services that Kilter Termite and Pest Control provides in Garden Grove, CA, contact us today.